The parent of Beth Israel Deaconess Medical Center (above) has agreed to negotiate a merger with Lahey Health. Beth Israel Deaconess Medical Center and Lahey Health said Monday that they plan to merge, moving forward after years of on-again, off-again talks with a deal they hope could better match the market clout of Partners HealthCare. The merger would be the largest among hospital systems in Massachusetts since the 1994 formation of Partners, the state’s largest health network. The combined organization would start out with eight hospitals, nearly 29,000 employees, and $4.5 billion in annual revenue. The union would create the second-biggest health system in the state by revenue, stretching from southern New Hampshire to Cape Cod. But Beth Israel Deaconess and Lahey together would still be less than half the size of Partners, which has 10 Massachusetts hospitals and $12 billion in revenue. The deal poses critical questions: Would it produce a lower-cost alternative to Partners? Or would it drive up costs by creating another behemoth? Massachusetts has some of the best doctors and hospitals in the country, but costs are high and continue to rise despite a state law that sets a target for containing spending increases. Governor Charlie Baker has proposed hospital rate caps to curb costs even further, and state legislators are considering ways to tackle the issue. Meanwhile, President Trump and Congress are seeking to dismantle the Affordable Care Act and replace it with something that might put more pressure on hospitals. The deal announcement comes just after Partners — the parent of Massachusetts General and Brigham and Women’s hospitals — said last week that it wants to acquire Massachusetts Eye and Ear, a specialty hospital already affiliated with Mass. General. The previously stalled merger talks between Beth Israel Deaconess and Lahey are now moving ahead in part because one of the key stumbling blocks has been resolved: leadership. Executives said Dr. Kevin Tabb, 53, chief executive of Beth Israel Deaconess, would become chief of the combined system, while Dr. Howard R. Grant, 64, Lahey’s chief executive, plans to step down once the deal is completed. The board of the merged company would include an equal number of members from each health system, led by Lahey’s board chairwoman, Ann-Ellen Hornidge. Executives at Beth Israel Deaconess and Lahey expect to spend months hashing out many details before they submit filings to regulators. The deal will be reviewed by the state attorney general’s office and the Health Policy Commission, a watchdog agency that studies all big hospital mergers and their impact on costs. Commissioners will vet the deal thoroughly for its impact on spending, access to care, and quality of care, said Stuart Altman, a health economist who chairs the commission. A spokeswoman for Attorney General Maura Healey said her office will review the transaction after receiving more details. Burlington’s Lahey Hospital & Medical Center would be part of the merged operation. Lahey and Beth Israel Deaconess joined a coalition that opposed Partners two years ago when it was seeking to add South Shore Hospital of Weymouth and Hallmark Health System of Medford to its network. Partners eventually dropped those deals because of concerns from state regulators that they would lower competition and raise costs. Its initial response to Monday’s news was measured. For at least the past six years, Beth Israel Deaconess and Lahey executives have considered combining to more effectively compete against Partners. But until now, they had never signed a letter of intent to merge, the first formal step in what is likely to be a long and complex process. 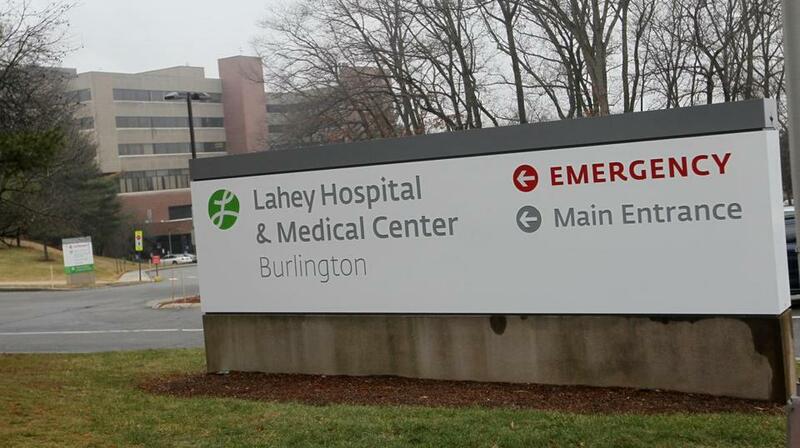 Lahey operates four hospitals, including its flagship medical center in Burlington, with a network that includes 1,400 doctors. Beth Israel Deaconess is the parent of the large teaching hospital in Boston’s Longwood Medical Area and three community hospitals. It has 1,200 doctors. In a joint statement, Tabb and Grant argued the combination would give more patients access to high-quality and affordable care. “We are engaged in ongoing discussions, exploring the opportunity to combine our two systems and create the region’s premier integrated health care delivery system, one that would offer patients exceptional care and unparalleled value, while keeping care in the community whenever possible,” said Tabb. Talks between Beth Israel Deaconess and Lahey have been happening on and off since 2011. At one point, they explored a combination that included the large doctors network Atrius Health, but that never materialized. Talks started again last summer, executives said, leading to the current agreement. 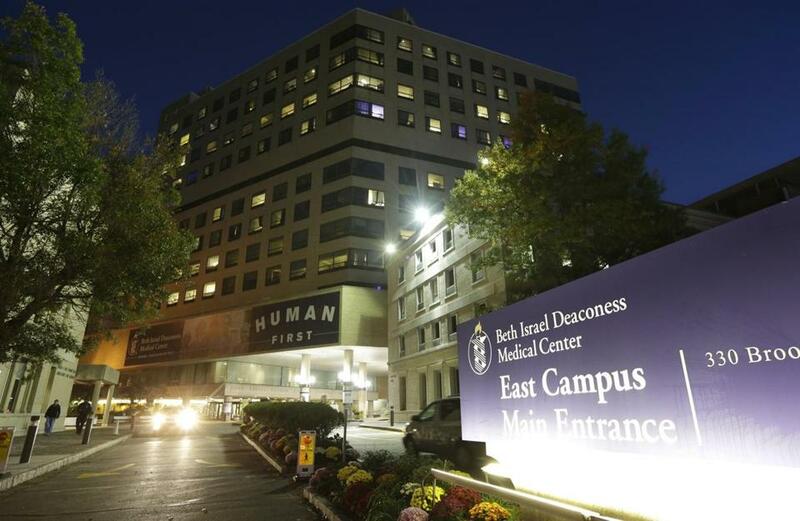 Although they plan to create a new parent company, neither Beth Israel Deaconess nor Lahey will ditch its name, executives said. Each system will keep its teaching programs for doctors, with Beth Israel Deaconess maintaining its relationship with Harvard Medical School and Lahey with Tufts University School of Medicine. Many hospitals in Massachusetts and across the country have sought mergers in recent years as they face growing pressures to attract patients and provide care with lower costs.